Liberation © 1984 Data East. Released in December 1984 in Japan. This game is known in US as "Dual Assault". 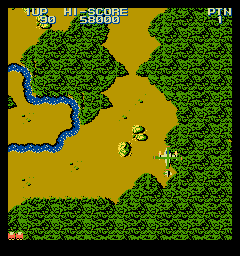 A bootleg of this game was produced under the same name in 1985 by Life System Seoul. The bootleg uses a M6502 @ 2 Mhz as main CPU instead of the DECO @ 2 Mhz.